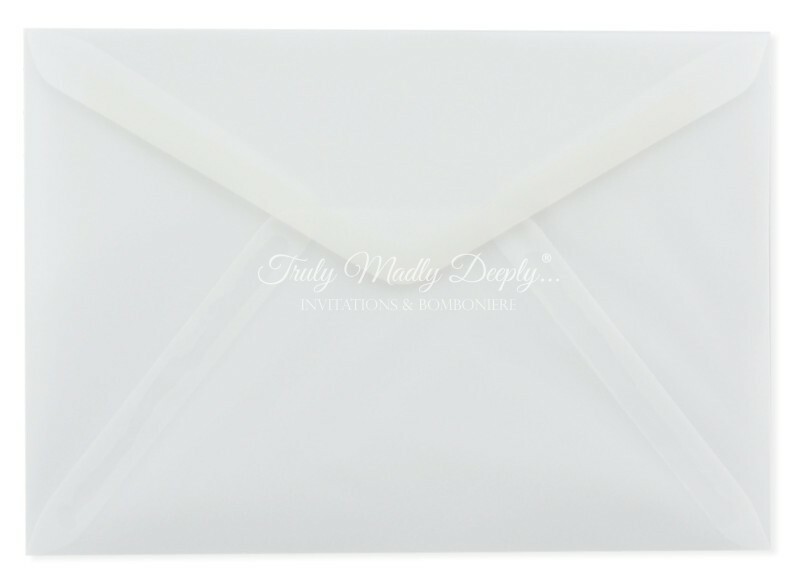 Our C5 Envelopes measure 162mm x 229mm or 16.2x22.9cm and are widely used to hold our A5 sized (half an A4 sheet) wedding invitations and for direct marketing purposes. 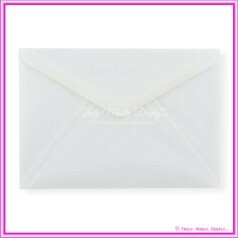 This C5 envelope has a Banker Flap (triangle) and to close simply moisten (wipe with damp sponge or lick) and seal. Made from Genuine Curious Translucent from the UK - not a cheap Chinese copy.